Mathijs van Leeuwen is a rural development sociologist, who specialises in conflict and peacebuilding in developing countries. After his graduation at Wageningen University in 1999, he worked as a researcher at Clingendael, and with various NGOs in Kenya, Sudan, Guatemala and Bolivia. 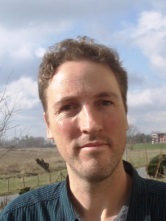 His PhD research at Wageningen Disaster Studies (2004-2008) concerned discourses and practices of civil society peacebuilding and their international support, with fieldwork in a.o. Burundi and Guatemala. Since 2009, Mathijs works at the Centre for International Conflict Analysis and Management (CICAM) at the Radboud University in Nijmegen. His current research work focuses on land disputes, post-conflict land reform, local governance, state formation, violence, and the discourses of intervening organizations on conflict and peace. From 2011 to 2016 he was affiliated to the African Studies Centre as coordinator of and researcher in 'Grounding Land Governance; Land conflicts, local governance and decentralization in post-conflict Uganda, Burundi, and South Sudan', http://www.ascleiden.nl/research/projects/grounding-land-governance. 2014 - Leeuwen, M. van; Zeemeijer, I.; Kobusingye, D.; Muchunguzi, C.; Haartsen, L.; Piacenza, C.
2005 - Leeuwen, M., van; Haartsen, L.